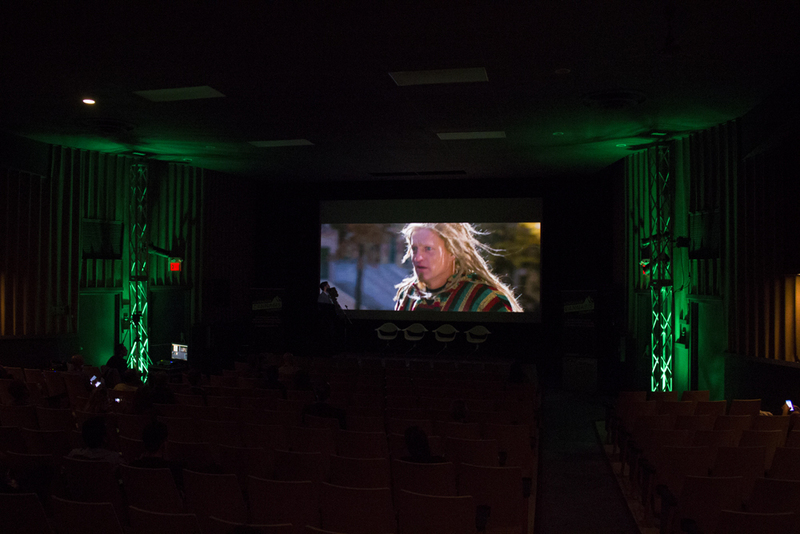 As the Canadian Cannabis Summit wraps the second day of the conference at Globe Cinema , we’ve been excited to learn about the behind-the-scenes details going into this “budding industry” – as jokingly referred to by the organizers. We provided audiovisual services, requested by Full Blast Creative, that would open the floor for the presenters and audience members. Each stage — both upstairs and downstairs — had an identical setup: two speakers, two trusses with spot lighting and uplighting, handheld wireless microphones for the panel and speakers, video recording for the organizers to upload for later, and multiple projection feeds for seamless transitions. Each stage had a video camera recording for later, with clean audio coming from the main mixing board. We worked with The Globe to feed the presentation visuals to the theatre’s in-house cinema projectors, and used a video mixer to fade between visual content. With a total of 10 wireless microphones, the audio was fairly simple. We used our digital mixing boards, which helps to take up less space in a theatre, while simultaneously allowing us to monitor the room’s sound for feedback. Mike, of Calgary Show Services, says it was an incredibly informative event, as the speakers were well-versed in their backgrounds and perspective. 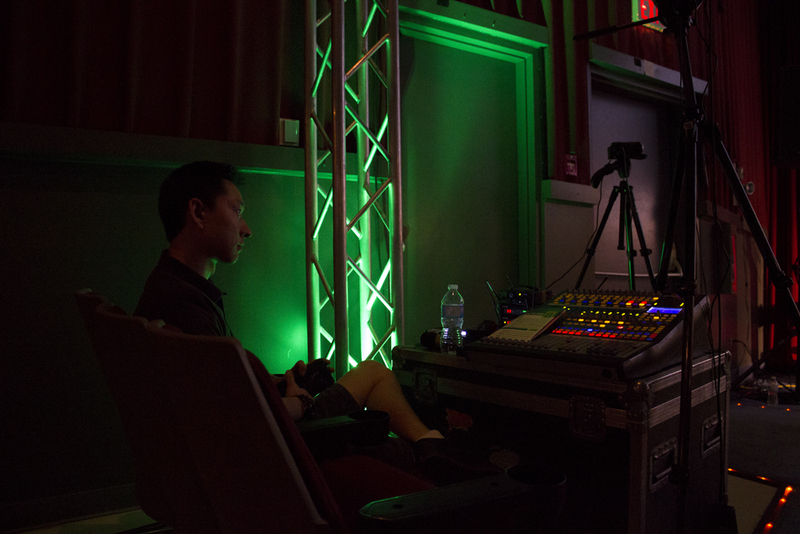 We needed to a spotlight to illuminate the panel speakers and presenters, and so tied our Liko spot-lights onto each truss, and ran the lights to a dimmer switch, and a light mixer, so we could control the lighting from our A/V nook in the theatre. 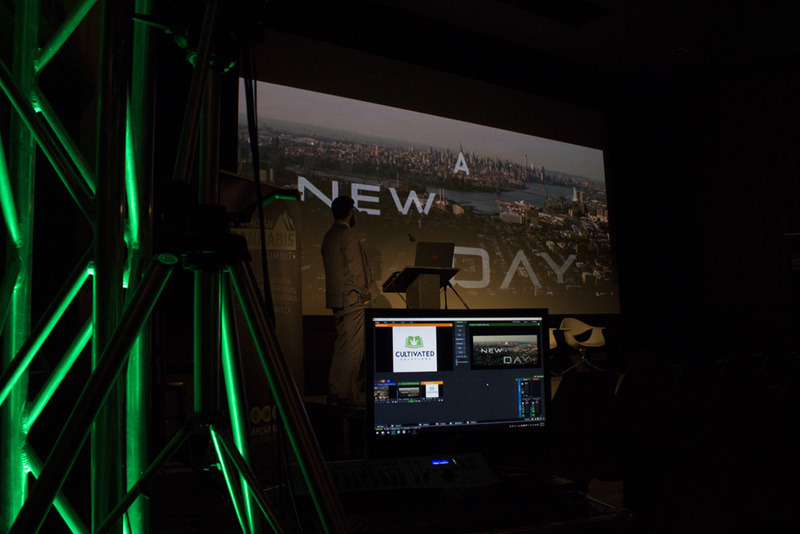 Naturally, the up-lighting was set to full-green, to match the theme of the conference. As the rooms were dark, we also had to ensure the presenters and speakers were brightly lit. We had an awesome time providing services for Full Blast Creative, and admire their ability to pull the logistics off for this summit!